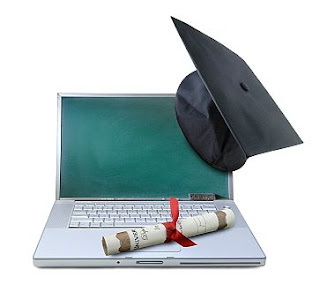 The internet based microbiology programs are offered at three levels - Associate, Bachelor and Masters. The strong course content and qualified faculty members ensure that students are able to achieve the desired objective after enrolling into these programs. These programs also assist students in building the foundation necessary to successfully pursue professional courses in future. These courses are also helpful for students who are unable to enroll in colleges or institutes due to non-availability of these subjects in the curriculum. The content of the online microbiology programs is delivered through platforms like video conferencing, blackboard learning systems, online seminars, live classrooms, chat forums to name a few. The students are also required to participate in assignments and quizzes that help in evaluating their progress. Interactive sessions with fellow students through virtual discussion platform strengthen the overall academic process. At the end of the courses students also appear for test in order to earn the concerned degree. Microbiology fundamentals courses: these programs offer introductory courses on microorganisms. There are various topics such as ecology, growth, diversity and genetics of the microorganisms. In addition the programs also cover diverse issues like fungal, viral and bacterial infection, immune response and microbial anatomy. Microbiology courses for healthcare professionals: these programs are very helpful with regards to getting students prepared for graduate level courses in microbiology. The main topics covered in these courses are microbial morphology, ecology, physiology, bacterial metabolism and genetics. Microbiology courses with medical emphasis: the students of microbiology courses meant for healthcare professionals deal with areas such as microbial pathogenesis, epidemiology, molecular biology, mammalian host resistance and immunology. They are provided with modules focusing on diseases that result from microorganisms and their diagnosis, prevention of infection and regular therapies and modes of treatment. The program is ideal for those who are planning a career expansion and want to pursue higher studies. Students who need an undergraduate course in this field of study in order to seek admission in post graduate level programs would be benefited for it. The program is spread over one semester and the students must have knowledge of introductory biology at college level. Some of the topics covered under this program are microbial morphology, bacterial metabolism, history of microbiology and genetics. These help the students in developing the required foundation to take on programs at professional level. The program also offers the support of a virtual laboratory. The course curriculum of this program is divided into five parts, which are infectious disease; microbial world; applied micro organism; life and death of microorganism; and microorganism and humans. The duration of this program is between 15-16 weeks. The college offers Associate of Science degree in Microbiology. In order to enable the students get an in-depth knowledge through online medium the college is work closely with Hands-On-Labs, Inc and McGraw-Hill publishing. The curriculum focuses in the microorganism and encompasses areas like microorganism identification, isolation and the control of microorganism. In order to enroll for this course program one is required to complete a course on human anatomy and physiology or any other similar course. Online microbiology courses are also offered by Colorado Community Colleges Online. The credits earned in the course will be transferred to other universities or public colleges in Colorado. This online microbiology course is a program under the Health Sciences. The course assists the students in understanding topics like cell reproduction, cell structure, microbial taxonomy and also bioenergetics. Some of the topics covered in the course are themes of microbiology; eucaryotic cells; physical and chemical control of microbes; microbial genetics; elements of microbial nutrition, ecology, and growth; and introduction to the viruses. The course also includes regular assignments and quizzes that are required to be submitted within the deadline. One must also purchase a laboratory kit in order to perform the lab work. This would help in developing the requisite technical skills like culturing, isolation, microscopy and also sterilization. The US online university offers program in microbiology. The program comprises of three options, which are Medical Laboratory Science; Microbiology; and Environmental Health. The curriculum prepares the students to take higher role in the field of immunology, microbial genetics, virology, microbial ecology and medical microbiology. Some of the courses covered in these three options are Molecular & Cellular Biology; Calculus Technology; General Microbiology; Medical Bacteriology; Microbial Physiology; Introductory Psychology; General Biochemistry; Immunology; General Microbiology; Hematology; and Microbial Physiology. The college offers course in microbiology as a part of their nursing program. The course covers topics like metabolism, epidemiology, microbial structure, biotechnology, and genetics. The degree offered is Associate in Applied Science in Nursing. One must ensure that before talking this program one has the requisite knowledge in general biology, physiology, general anatomy and plant biology. CAL Campus One of the online microbiology courses is conducted by CAL Campus. It is an accredited private institute. Fundamentals of Microbiology is one of the courses offered by this private online institute. The course is of 3 credits. It covers areas that give the students an insight about microorganism. It provides an understanding on the importance and role of microorganism in food, health and other related areas. The students must have prior knowledge in biology at the introductory level or should be pursuing it along with this course. On completion the students would be aware of the significance of these microorganisms in the life of humans and environment as a whole. The course would also impart the requisite knowledge regarding the role of bacteria, fungi and viruses in spreading illness and other hazards to human life. Another course offered is Basic Practical Microbiology Lab. The course may be recommended for those who have already undergone or are pursuing the fundamentals of microbiology course. The curriculum is designed to provide the students with the idea and skills necessary to perform in the microbiology laboratory. It is one credit course. The course is online and is delivered through PowerPoint presentation, virtual laboratory and other relevant medium as deemed necessary.